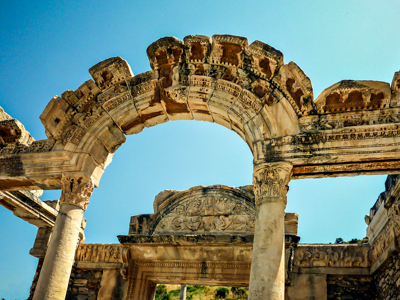 In Turkey, Most archaeological sites, many historical buildings and of course, museums, charge an entrance fee. You have to include these costs in your budget to avoid surprises. Prices vary widely, from the 5 lira to get into some areas distant from international tourist routes to 30 lira that is the entrance fee to Hagia Sophia or Topkapi Palace in Istanbul. Another issue that you should not forget is the opening times of those museums that you intend to visit, and also possible closings for maintenance or restoration that may prevent your visit. The Ministry of Culture of Turkey has a page dedicated all, You can check it here, it is in English. 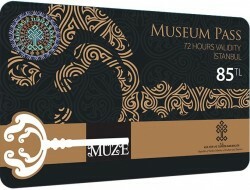 For residents in Turkey, students (included Erasmus) and Turkish citizens, there is a card named Muze Kart that costs 30 lira and can be obtained in main museums and also in the Ministry of Culture delegations. It is valid for one year and is highly recommended for those to whom it is addressed. For a year we can visit all the museums, archaeological sites, palaces, etc. owned by the Ministry of Culture and Tourism, with the limitation that we can only make a visit to each site. You just have to go to the ticket office with your residence document, Turkish tax number or student card and you will be given your card. I enter the place of purchase for ls museum card and only gives me physical shipment option to cities in Turkey,is not easy to buy online,what are the hotels where they sell?buscare the van yes I have luck,bring family conflict between making tour on our own or buy guided from the cruise where you are forced to watch as they weave a rug to buy it for two hours!! !Oriéntame please. If you travel to Istanbul on a cruise I would not spend two hours to visit a carpet workshop. You can find agencies that organize tours in Istanbul online. I hesitate to recommend one because I have not had direct experience with them. I remember that we have a guide that can accompany you on your visit, Consultation dates. You're right, do not send the museum pass outside Turkey. It is best to direct you to the entrance of Santa Sofia, Chora, Topkapi and Istanbul Archaeological Museum and buy it there. If you saw a vehicle moving sale, You can also take advantage and buy. If you only need tickets to a museum, You can purchase an e-ticket on the same website that announced in the post.